Seafreeze America’s $30 million conversion is the latest investment in the local fleet of catcher processors that work off Alaska. 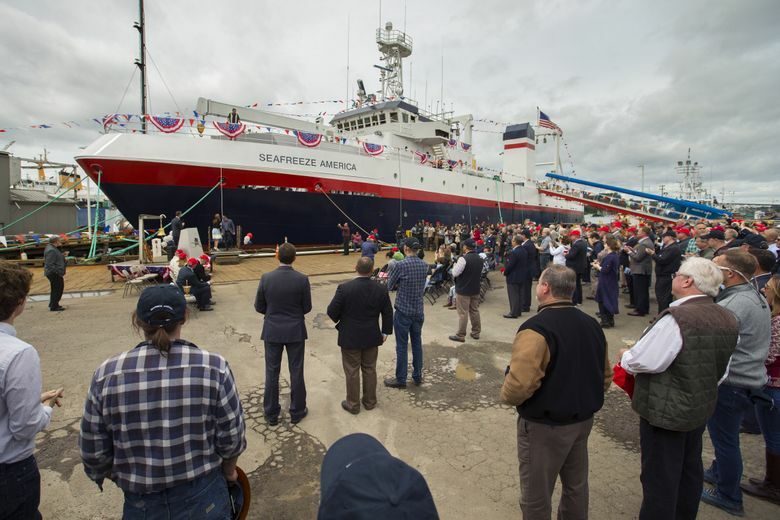 Seattle’s fishing industry on Thursday feted the latest addition to the fleet, a 233-foot former Navy oceanographic vessel overhauled at a cost of more than $30 million for a new line of work — catching and processing fish off Alaska. The Lake Union ceremony drew several hundred people to watch the traditional breaking of a Champagne bottle across the bow of the former John McDonnell, newly christened as the Seafreeze America. Later this month, the ship will head north to harvest yellowfin sole and other species in the Bering Sea. In a Seattle increasingly swept up in a tech boom, the SeaFreeze Amercia offers a reminder of the vitality of an older and still potent Puget Sound industry. The SeaFreeze America was overhauled in Seattle with the assistance of a wide range of maritime vendors. United States Seafoods employs some 450 people with a fleet of nine vessels that will be fishing this summer. Some 50 to 70 will crew on the SeaFreeze America. 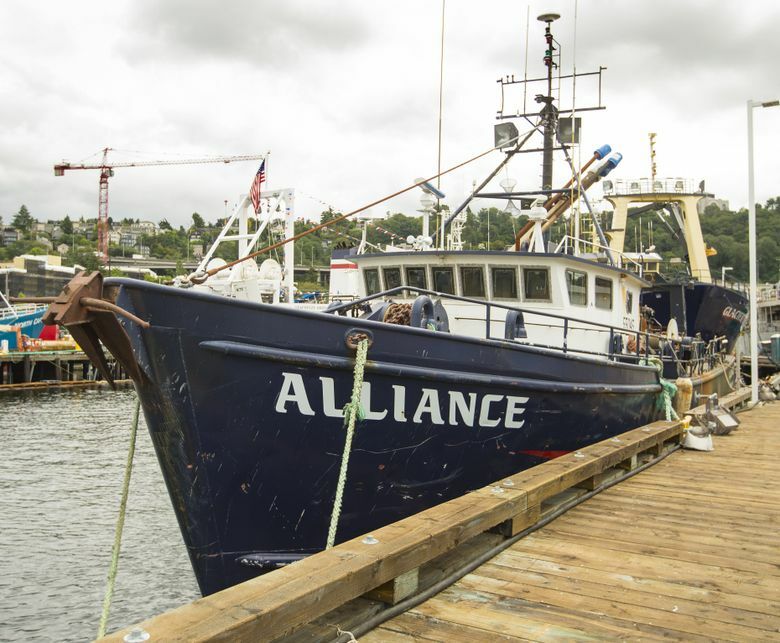 The ship will work in what is known as the Puget Sound-based “head and gut” fleet, a group of vessels that use trawl nets to scoop fish off the sea bottom, and then process them on board. Much of the harvest is sent to China, where it is reprocessed and then sent to markets in Europe, North America and elsewhere. Over the decades, the head and gut fleet has aged, and maritime tragedies — including the 2008 sinking of the Alaska Ranger that claimed 5 lives — raised safety concerns. Meanwhile, federal regulatory restrictions effectively prevented any new replacement vessels. Those restrictions have been lifted, and several companies in the fleet are now investing in new vessels, said Chris Woodley, executive director of the Groundfish Forum, an industry trade association. Under the harvest system now in place, United States Seafoods won’t be able to catch more fish by operating the Seafreeze America. But for crews who labor for days on end in often-rough seas, the Seafreeze America will offer a safer platform than the much smaller vessel it will largely replace. And the state-of-the-art processing operations will enable the company to turn out more high-value products and reduce discards. “It allows us to maximize the use of the fish that we are already are catching,” Doherty said.